The experience of eating at Cloudland Farm starts 10 minutes before you get there; that's about how long it takes to negotiate the dirt road from nearby Woodstock as it wends past pine woods and cow-dotted fields to a pastoral farm that serves amazing dinners twice a week. closed: Sun., Mon., Tues., Wed., Thu. What you see is what you eat: Black Angus cattle, Berkshire pigs, and chickens and turkeys roam freely on the 1000-acre farm, "where they can scratch and peck about in the green grass to their heart's content," according to owners Bill and Cathy Emmons. 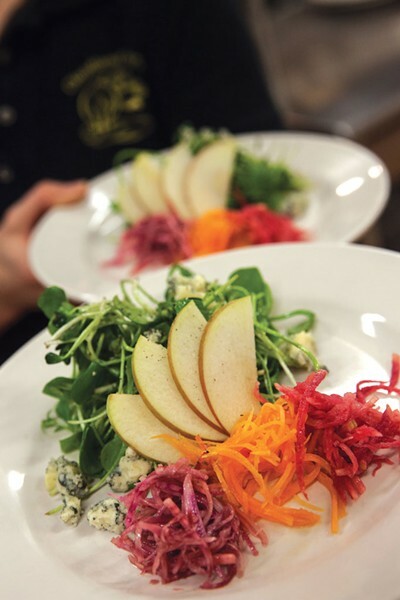 Almost everything that emerges from chef Nick Mahood's kitchen was raised there — squashes, pork, lettuces — or made from scratch. Dinner is served inside a modern post-and-beam barn harvested from the farm's own pine forests. Soaring ceilings and a fieldstone fireplace create the perfect ambience, whether it's for Thursday's family-style evening meal or the three-course, prix-fixe menu on Saturday night. Summer, winter, it doesn't matter; Cloudland's chef manages to "cook local" regardless of the season. In late fall, razor-thin beets are topped with crumbles of tangy local chèvre and a drizzle of sticky balsamic reduction for an exquisite beet carpaccio. Over seared strip steak, the chef spoons garlicky melted butter, a moody red-wine sauce and foamy celeriac purée. Compelling as the savory courses are, you must leave room for dessert. 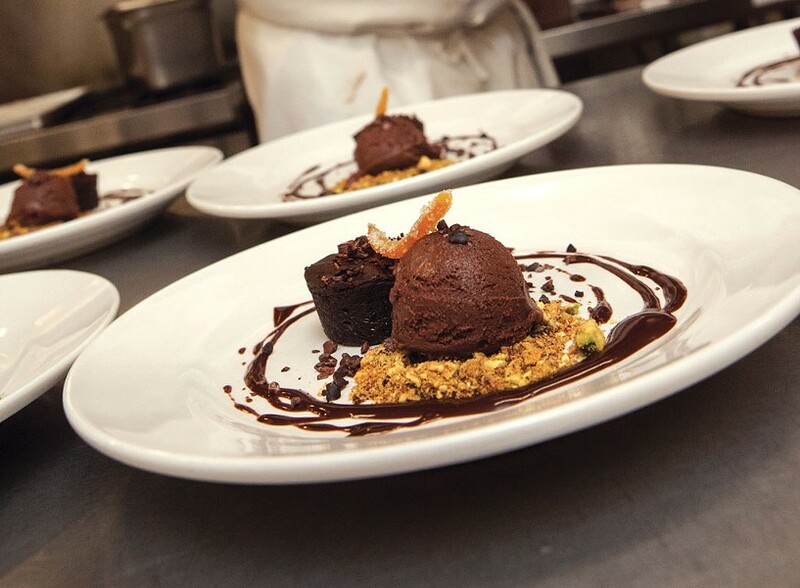 If you think warm chocolate cake is simple, think again: In chef Mahood's hands, it's an oozing symphony of ganache, dark-chocolate crumbles, bourbon-tinged caramel and a featherlight cocoa-nib tuile so delicately rendered you won't want to destroy it with your fork. There's one thing the farm doesn't make (or serve) on the premises: alcoholic beverages. That means BYOB — you can buy it in Woodstock on the way. Nothing worse than getting all the way to Cloudland — it sounds as far as it feels — only to discover you've forgotten the wine. 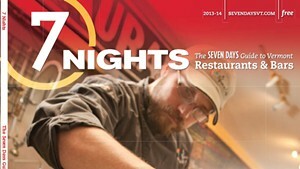 This article was originally published in 7 Nights: The Seven Days Guide to Vermont Restaurants & Bars in April 2013.